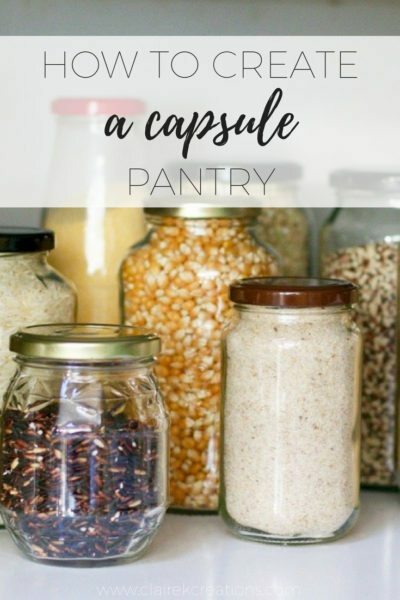 A capsule a capsule pantry is one that is full of staples that can all work together in different combinations to create different meals from Mexican burritos to Indian curries or spaghetti bolognese. 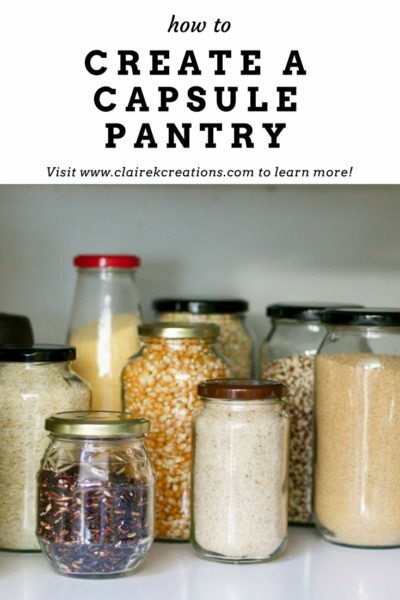 Let me show you how to create a capsule pantry. This time last year it was a Saturday morning, 5.15. I got out of bed, wiped my bleary eyes, jumped in the shower and headed outside to start setting up. The sun has barely poked its head above the horizon and someone started walking up the driveway. I literally hadn’t even put a table up let alone started bringing our mountains of stuff out for our first ever garage sale. Apparently ‘no early birds’ means nothing to the avid garage sale shopper. About half an hour later it was ON. We were still shy of our official start time and there were bargain hunters everywhere. I was probably the worst garage sale bargainer every, being beaten down left, right and center and if I wasn’t giving in to drastically reduced prices I was just giving things away. After all our goal was to clear everything out so I had to keep that in mind. At the end of it all, a wonderful man I found through Airtasker came with his son and his trailer and packed the leftover stuff up to donate to people in need. It was a very intense day but I can’t tell you how amazing it feels to have decluttered so much stuff from our lives. Today I watched Minimalism the documentary for the second time (the first was just before our first garage sale) and I was surprised by how much I have changed since watching it for the first time a little over a year ago. Decluttering and simplifying has literally changed our lives. 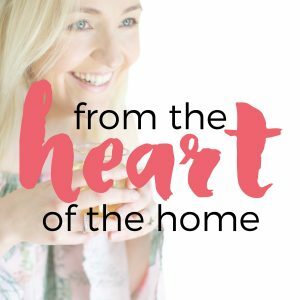 It has made us less stressed, happier, healthier and has set me on a whole new path in my business and I would never look back. One area I’ve been a relative minimalist in for a while now is the pantry. I call it my capsule pantry. 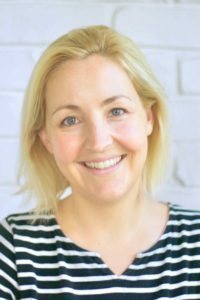 Have you heard of a capsule wardrobe? The basic idea is that instead of having 10 outfits that don’t mix and match at all ie one is a flamboyant floral number, the other glitzy glamour, you have a selection of a number of items that all work together in different ways. 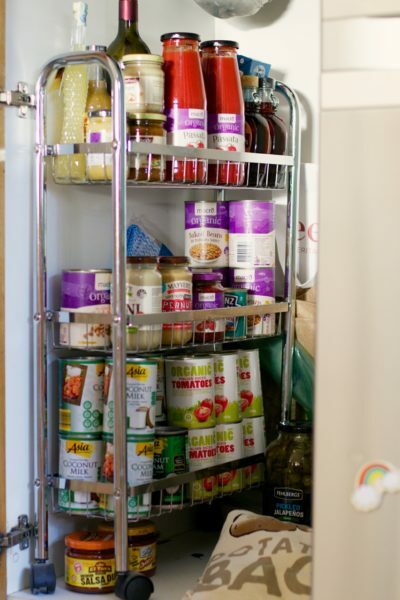 When I heard about it from The Minimalists, it got me thinking – this is kind of the way my pantry works. 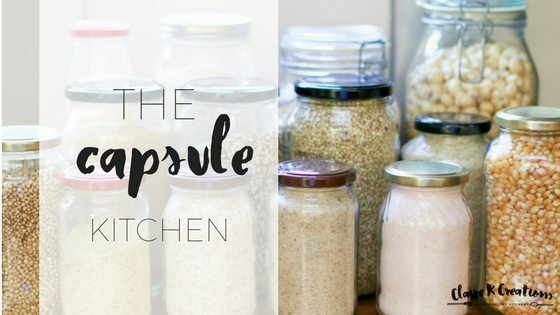 Without thinking about it, that’s how I’ve created a capsule pantry. 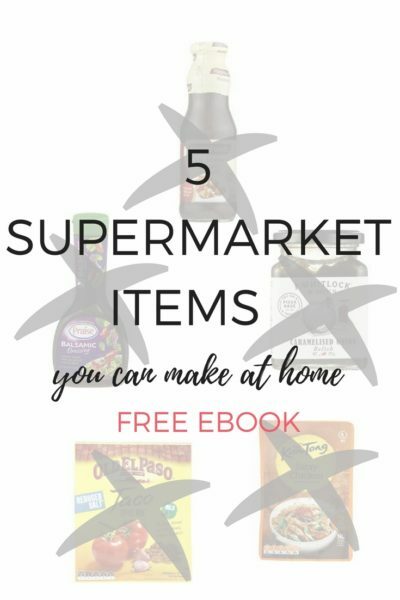 Instead of buying convenience items that only work for one meal, I have a kitchen full of staples that can all work together in different combinations to create different meals from Mexican burritos to Indian curries or spaghetti bolognese. Buying individual ingredients rather than pre-packed items is a lot less expensive and you can use them across several meals. There’s no ducking out to the shops at the last minute because you need a particular sauce or jar. You have all the things you need to make it or know how to mix and match to create a similar effect. By changing the way you cook you learn to experiment and get a bit more of a flare for cooking. We’re led to believe that it must be difficult or all these pre-made things wouldn’t exist but really, once you get the hang of cooking from scratch, it’s not hard at all and it’s actually quite fun and rewarding. Cooking from scratch means you know exactly what’s in your food. I don’t know about you, but I don’t keep too many artificial ingredients or preservatives in my pantry so I know they’re staying out of my food. 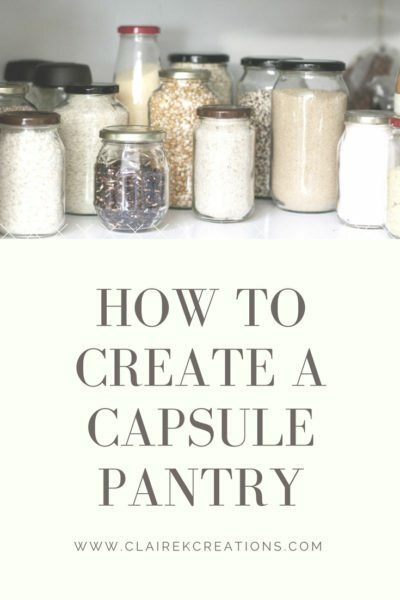 Now let me tell you how to create a capsule pantry. Go into your pantry and pick one jar, packet something that is not a basic ingredient and flip it over and look at the ingredients. What’s in there? Are they things you recognise. 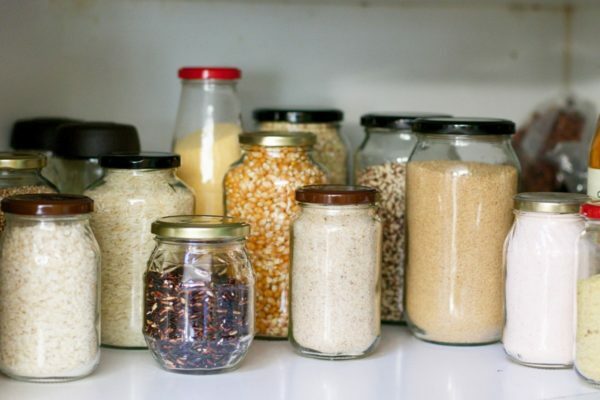 See how many are in your pantry and fridge. Then jump online and search for a recipe for that item. I bet you it’s easier to make than you think! Start with just that. 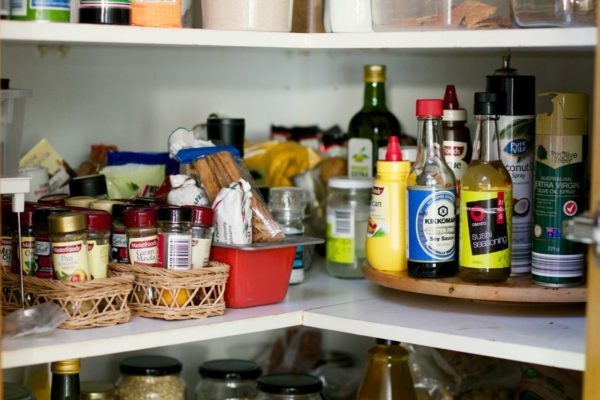 Stock the pantry with those basic ingredients and then move on to the next most used item. 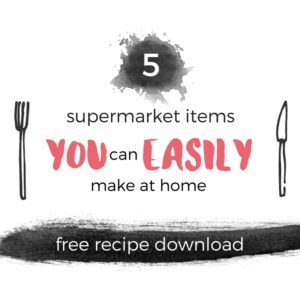 If you’d like a bit more convincing, I’ve put together a few recipes for every-day supermarket items you can make from scratch so very easily with very few ingredients. Just pop your details in below or click on the image below to get your copy.